In our experience Cannon Advisors has found that there are 8 Wealth Management Issues that are most important to our clients which we help them address. Each of these issues are interrelated and, in fact, act like a balancing scale. If you make an adjustment to one issue, it affects the others. A properly structured financial plan* enables you to face any financial challenge that may present itself during each stage of your life. Through the financial planning process, we help them assess financial need, develop strategies to pursue their personal life goals and strengthen their financial future. Is my portfolio prepared to handle the unexpected? History has shown us time-after-time unexpected worldly events occur either by nature or man. Each event sends a shock wave around the globe and often finds its way into the stock market and your portfolio. We believe that in order to guard and grow your investments over the long haul, you must do so by stepping outside of the "style box". In this, we advocate asset allocating not only among investment styles, but also investment strategies. By allocating among a variety of long-term domestic, global and business sector equity trending strategies, very conservative hedging strategies, non-correlated alternative asset strategies and unique fixed income strategies, we feel that some amount of today's market risk can be reduced. *The client acknowledges that the representative is relying upon the client information (e.g., risk tolerance, time horizon, and investment objective) for the purposes of providing recommendations to the client. The client agrees to give the representative notice of any significant changes in the client information and to provide the representative with any additional information that the Advisor may reasonably request. Is my family protected if I die or become disabled in a car accident today? An efficiency study should be conducted to help ensure that survivors are properly taken care of in the of event of death or disability. We consult with clients to determine if insurance coverage is appropriate and fairly priced for their specific needs. In addition, we will review other risks including disability; long-term care; final expenses; etc. We formulate strategic plans to help reduce debt and manage day-to-day cash flow decisions. How much should I save in order to retire when I want and not outlive my assets? Although everyone is different, no one wants to outlive their retirement savings. 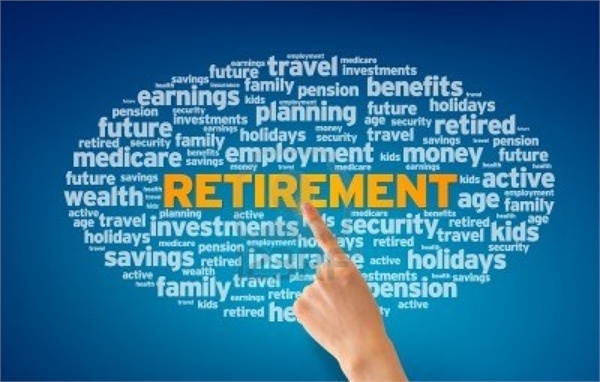 By establishing a goal, developing a plan to reach that goal, constantly monitoring your progress in relation to that goal, and making changes as necessary along the way; your chances increase of obtaining your vision of living a comfortable retirement. Am I on track and how will college tuition inflation impact my goals? With each new year, the cost of a college education continues to rise. Early planning is essential and we can recommend various options to help fund education for your children, grandchildren, nieces, or nephews. Are there any issues that I have not considered or planned for that could impact my business? We consult business owners on a variety of ways which may include financial statements; payroll; review and implementation of budget cash flow; hiring compensations; introductions to local resources (bankers, attorneys, property & casualty insurance providers, mortgage lenders, realtors, etc. ); buy-sell agreements; disability; business succession and continuity planning; etc. The goal of business planning is to help avoid unexpected problems that could impact your ability to generate income from your business. Do I have the proper documents in place to protect my family and are they still relevant? By properly planning for death, you can help save your family added anxiety, time, as well as additional taxes & expenses. We consult our clients on five main estate documents, including: 1) Will, 2) Living Will 3) Durable Powers of Attorney, 4) Healthcare Powers of Attorney, 5) a variety of Trust Arrangements. We help educate our clients on each of these documents and the distinct purpose in which they serve, and will help coordinate if appropriate. Should I buy my dream beach house now? Throughout your life as you pursue your long-term goals, some expected and unexpected needs will arise. Whether it is planning for a wedding; taking a spur-of-the-moment dream vacation; deciding to buy a second home; or facing unexpected expenses due to unforeseen events. Planning for the expected and unexpected is vital to achieving your goals. A properly structured financial plan enables you to face any financial challenge that may present itself during each stage of your life. Through the financial planning process we help you assess your financial need, develop strategies to pursue goals, and strengthen your financial future using these 8 Wealth Management Issues. By also providing professional accounting services, we are always mindful of the tax implications that accompany any financial decision. Each of the 8 Wealth Management Issues listed above have tax consequences and by working together with us and Cannon Tax & Accounting, our two teams will help you understand these consequences and plan accordingly.